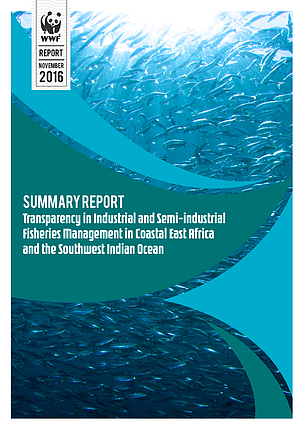 management systems for industrial fisheries in selected African countries. That studynever formally published but widely shared with governments and experts aimed to provide baseline data about fisheries management information, information sharing, and transparency in the target countries. This Phase 2 study expands upon the initial research conducted in Phase 1, and refocuses the analysis on eight CEA/SWIO countries: Comoros, Kenya, Madagascar, Mauritius, Mozambique, Seychelles, South Africa and Tanzania. Namibia was initially included in Phase 1 of the analysis but was not included in the update1. The Phase 2 research process followed a stepwise approach in each country that included: (i) a second desk-top study, expanding upon and updating the information found in Phase 1; (ii) distribution of a survey questionnaire to national authorities; (iii) extensive in-person interviews with government officials and experts carried out in each country;2 (iii) follow-up requests for additional data categorized as “available on demand”; and (iv) sharing of report drafts with the target governments, and the consideration of their feedback in final preparation of the report.